The organizers of tonight’s 9:30 Club benefit for victims of the 7.0-magnitude earthquake in Haiti say they still plan to donate half of the evening’s proceeds to Yéle Haiti, a nongovernmental organization founded by the Haitian-born performer Wyclef Jean. In a press conference this afternoon, Locke and Jean apologized for what they characterized as accounting mistakes but defended the intent of the organization’s actions—including paying $100,000 to a recording studio owned by Jean for the production and performance of a 2006 benefit concert in Monte Carlo, and paying $250,000 for airtime for educational programming to a Haitian television station owned by Jean. “Have we made mistakes before? Yes. Did I ever use Yéle money for personal benefits? Absolutely not,” Jean said. Locke said that in the past, Yéle used companies partially owned by Jean and board member Jerry Duplessis for cheaper, quicker access to services, but that it would not do so in the future. 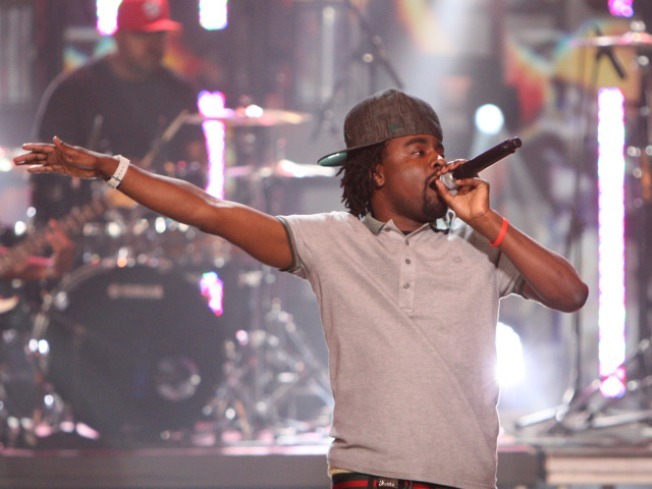 The concert, which will feature performances from Wale, Tabi Bonney, D.C. Don Juan, Phil Adé, XO, Kingpen Slim, and others, will also benefit Partners in Health, a Boston-based nonprofit that operates nearly a dozen hospitals in Haiti. The organization is helping rehabilitate the public University Hospital in Port-au-Prince, the Haitian capital which was decimated by the earthquake last week. The top U.S. military commander in Haiti, Lt. Gen. P. K. Keen, has estimated that 150,000 to 200,000 have died since the quake hit. The concert will likely sell out, Schaefer said. Yéle Haiti is currently collecting supplies for an airlift sometime this week out of Miami. At the press conference, Locke said that because of Jean’s iconic status among Haitians and the group’s on-the-ground knowledge of the country, Yéle should play an essential role in relief and rebuilding efforts. He said a law firm, DLA Piper, and an auditing firm, Grant Thornton, will oversee Yéle’s relief efforts. Locke said the group hopes to raise $1 million a day. Jean, who spent three days last week in Haiti, said he hopes that Yéle will assist with an eventual evacuation of Port-au-Prince. “I give you my word, if I tell them to go, they will go,” he said.